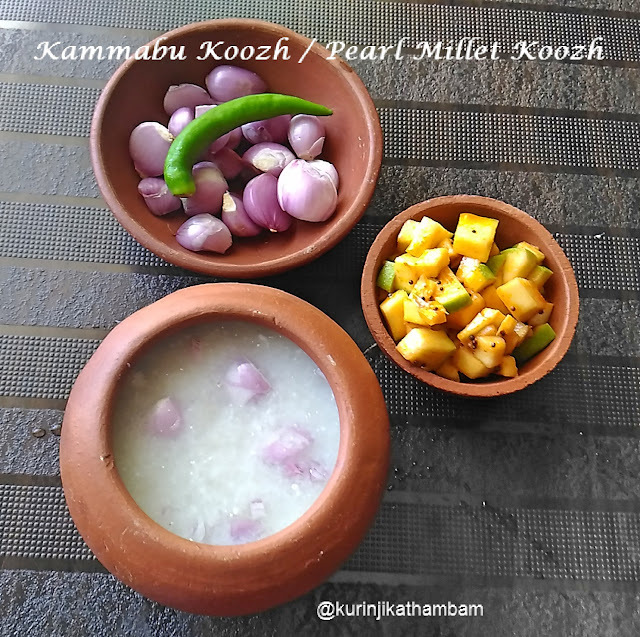 Kambankool is an ideal and traditional food for summer season because it is a natural coolant. Our last two generations have shifted away to rice based food completely. However people are going back as kammankool’s health benefits are known. Even there are road side shops selling kammankool. Kammangool is very easy to prepare once you start the first time. Try and enjoy the benefits of kammangool this summer without fail. 1. Clean and remove the stones from the pearl millet. 2. Wash them thoroughly for 3-4 times. Soak them for 3 hours. 3. Then drain the water completely using the juice strainer. This will take 10 -15 mins. 4. Now make it into a coarse powder using the dry mixie jar. Just pulsing for 3-4 times is enough. You should not grind it into a fine powder. 5. Heat 4 ½ cups of water in a large bowl. When the water starts boiling, keep the flame at simmer. 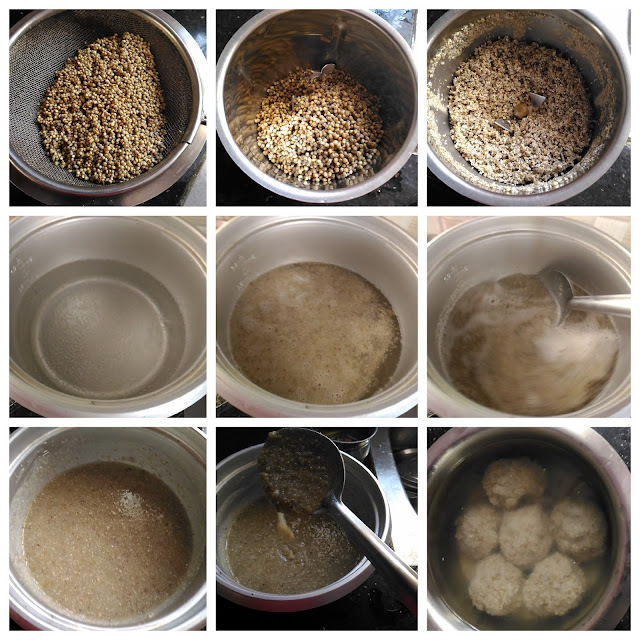 Then add the ground pearl millet flour little by little and mix them quickly without making lumps. 6. After all the flour is added, mix them gently and close the lid of the pan. Cook till the mixture become soft and thick. Mix them occasionally to avoid sticking at the bottom of the pan. This will take 13-15 mins. You should keep the flame at simmer throughout the process. 7. After they are cooked switch off the flame and allow them to cool down completely. 8. Add 5 cups of water in a pressure cooker. When the water starts boiling, keep the flame at simmer. Then add the ground pearl millet flour little by little and mix them quickly without making lumps. 9. Close the lid of the cooker and put the whistle. You can cook for 5-6 whistles in medium flame. 10. Once the pressure has gone, open the cooker lid and mix them gently and allow it to cool down completely. In this method the rice sticks at the bottom of the cooker. 11. Heat 4 ½ cups of water in a large bowl. When the water starts boiling, keep the flame at simmer. Then add the ground pearl millet flour little by little andmix them quickly without making lumps. 12. Heat enough water in a pressure cooker, keep the pan (from 11) inside the pressure cooker. Cook for 6-7 whistle in medium flame. 13. After pressure has gone, take the pan from the cooker and mix them gently. Allow it to cool down completely. 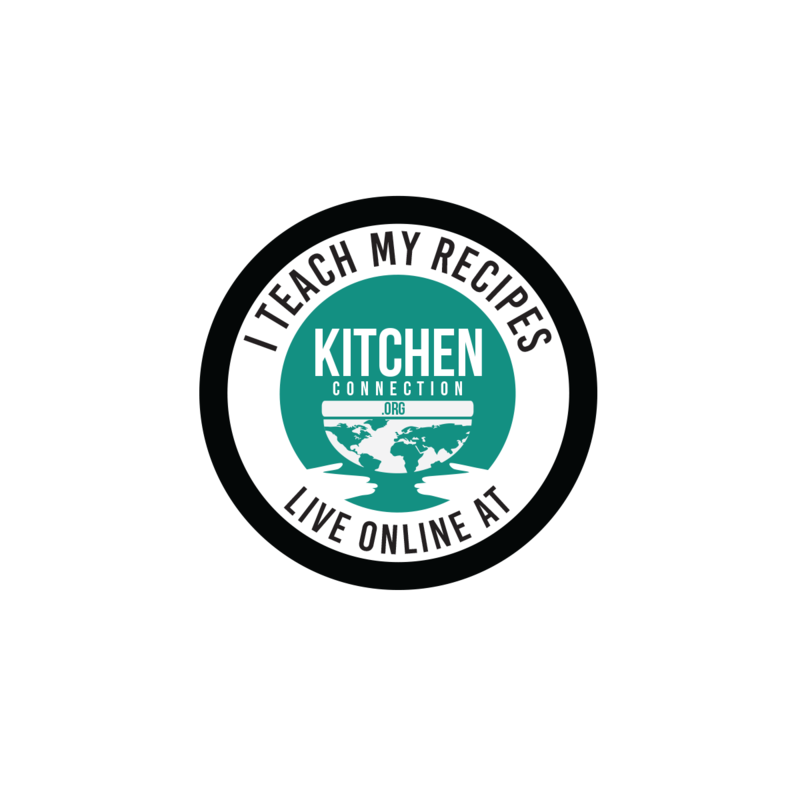 How to store the cooked rice? 14. After the rice has cooled down completely, make apple size balls from the rice and keep it in a bowl. Add enough water to immerse the balls in the water. 15. Keep it one day at room temperature; otherwise you can refrigerate it for 3-4 days. 16. Wherever you want to make kool, take required balls and add enough water. Mix them well with ladle. 17. Add required salt, buttermilk and chopped onion. Mix them well and serve. Serve it with raw mango pickle or moor milaga.